Nelson Mandela Day Ideas for Schools - Teacha! Mandela Day is an annual international day in honour of Nelson Mandela, celebrated each year on 18 July, Mandela’s birthday. People are encouraged to take 67 minutes of their day to fight for social justice. This year, Nelson Mandela would’ve turned 100 and many schools will use 100 minutes, instead of 67 to give back to communities. Work with another school to help fix up classes, paint their jungle gyms, help with some gardening or anything that the school might need help with. Teachers: Partner with an underperforming school to share resources, or create interesting lessons and lesson resources together. Keep the relationship going afterwards by creating a professional learning community. 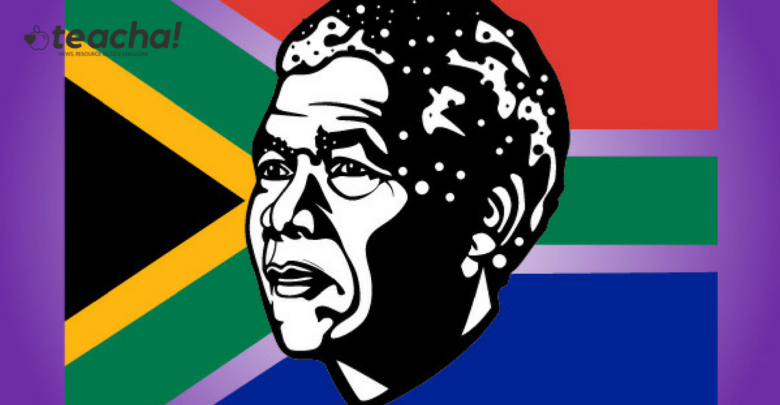 Create an in-school Nelson Mandela museum experience that learners can visit throughout the day to learn more about Nelson Mandela and Apartheid. Do collections for charities that the school supports. Arrange a concert, entertainment or choir performance for the elderly in your community, or visit them and have a high tea. Teachers: Partner with a local organisation to help youth write up and type out their CVs. This is a valuable skill that many young people do not have and cannot pay for. Grade 12 LO learners could also help under supervision. Collect books to help establish a library in a school. There are also many ideas available on the internet. As a school, working together as a group also builds camaraderie and shows learners that giving back isn’t difficult, and should be part of our normal routines. Aim to make these activities school-wide and not just a select few who will report back in assembly. Search for Nelson Mandela on Teacha! for activities, PowerPoints and lessons relating to Nelson Mandela, leadership and Nelson Mandela Day. Read the Teacha! Magazine for South African teachers for more ideas like these.